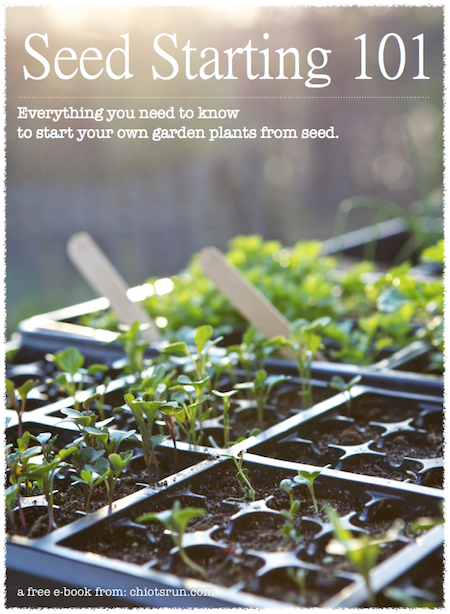 It’s time to start those seeds for you fall/winter garden. 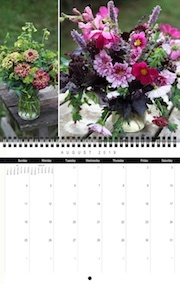 Time to seed: turnips, radicchio, kale, overwintering onions, winter radishes, lettuce and spinach. It’s also time to sow some clover under your tomatoes. Last week I started seeds for: ‘Catalina’ and ‘Bloomsdale Longstanding’ spinach, ‘Big Boston’ lettuce, fall greens mix, ‘Japanese Minowase’ radishes, ‘Round Black Spanish’ radishes. This week I’ll be starting some ‘Evergreen Hardy Bunching’ onions and more spinach and fall lettuce and maybe some turnips and radicchio. Don’t forget to order your garlic if you’re hoping to plant some this fall, if you wait to long you may not be able to find it. I ordered mine from Gourmet Garlic Gardens. Have you planted anything for fall/winter yet? Not yet. Once the tomatoes pipe down I will be able to direct sow. We are too busy at this time of year with harvesting and then gathering and cutting wood for winter to have a fall garden, unfortunately. I think our growing season is a bit too short for it anyway. Your’s sounds great! You could probably grow green peas in a fall garden too. Sheryl at Providence Acres Farm´s last post ..We Have Squash!! I have radishes, spinach carrots and tom thumb peas in the winter bed right now, I also planted some snap peas a few weeks ago, hoping to get a harvest before the first hard frost. Though for next year’s harvest, I am planting garlic this Autumn. You might want to start your spinach inside, it can be difficult to start in the fall garden because it prefers cooler soil temps. I often chill the soil by placing a flat on the floor in the basement until I notice germination, then I put under lights if it’s hot outside or if it’s cool I put outside. I’ve been growing ‘Bloomsdale’ spinach for a year or two, I’ve never grown the ‘Catalina’ before. I’ve also got seeds for ‘Giant Winter’ spinach, which I’m excited about. I’m hoping to try out some fall and winter crops this year, including wheat. I’m really excited about the wheat! I’d love to try to grow wheat, can’t wait to hear how it goes for you. Black Spanish radishes sound intriguing. I started spinach in our garden a couple weeks ago, it is coming along nicely. Our nights have cooled down, in fact I need to mulch soon to keep the soil warm and moist. I’ve got peas, lettuce, and spinach in the ground since Monday. I’m hoping to get some radishes in this weekend. And this reminds me that I need to get some garlic! I’m seeding broccoli, cauliflower, many lettuces, chards, kales, cabbages and asian veggies and herbs. Our hot weather just kicked in. We went from the low 70’s (all summer long) to high 90’s the past two days so I will hold off with direct seeding some of the other crops. where are you living? Would be nice to have that and the zone to deduce if your planting times are the same as mine (or others).